There are many nice bottoms in Swallownest, but this isn't one of them. 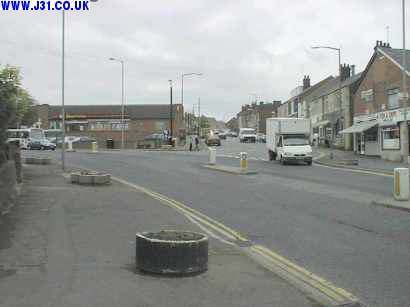 Now mainly local traffic and full of shops and bus stops, this road used to be part of the A57, also seen on the Anston webpages. The A57 links Lincoln with Sheffield, Manchester and Liverpool, so once it was in the big league. It has been superceded by the Aston Relief Road, a bypass 1 mile to the south.